Most people know him from winning the SABC 1 DJ talent show 1’s 7& 2’s. 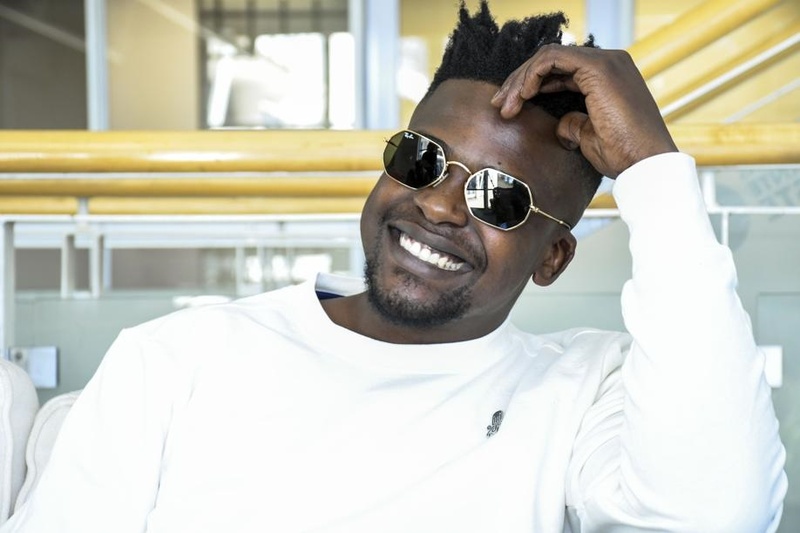 Some might have been intoduced to one of his hit singles like The Whistle Song. . . . Perhaps you know him from featuring with one of your favourite artists such as Mi Casa, Lady Zamar, or more recently in his latest single with Ziyon. . .
My relationship with Dj Mshega goes way back! More than a decade ago. You see me and DJ Mshega are from the same hood, my home and his home are a few blocks away from each others’. Me and my friends threw parties in high school. . . Like real parties, 2000 people in attendance type of block parties. DJ Mshega was the go to guy. We had a lot of DJs on the lineup, but, this guy was the headliner. And that is because he has always had a keen ear for a hit, coupled with a dedication to his craft that leaves me not surprised that the star that he is today. This guy has been killing it on the streets for a minuter. When the chance arose, it was only fitting I had a chat with the man himself. Here’s how the interview went. Before we get to the current single you just dropped,you have collaborated with so many incredible artists in the past, take us through your selection process? I just love working with artists with a distinctive presence on songs, artists you can’t confuse with another when you hear them sing and just generally people that are true to the arts. You have a new single out with Ziyon, how did the song come about? I met Ziyon about four years ago and we had spoken about a possible collaboration one day when I had the perfect music and we exchanged contacts. Then last year I was produced the “How Do You Feel” beat with him in mind and when I was done I reached out to him with the complete beat and just briefly told him what kind of feel I see for the song. He got to it and four months later he sent it back with his perfectly recorded vocals and there we had the song. What was the main inspiration and what prompted the musical direction on the song? What does the song mean to you? Ziyon’s lyrics are inspired by life in general and the space he’s personally in at that that time. The song means a lot to me because it poses a very real question to the listener “How Do You Feel ?”, a question we seldom get asked in this day and age… to look inward and realize our self worth and beauty. Ziyon, an acclaimed singer, a very talented one at that. . . . Have you always wanted to work with him? At which point did you decide that he needs to come onto the song. . . Please tell us about that. Yes, I’ve always wanted to work with Ziyon even before we met, but I never force or rush collaborations. I guess when felt this was the right time to work together I just I reached out to him and he was also ready. Please tell us about the process behind making the song, what goes behind the creative process, the writing of the lyrics, is it a collaborative effort? I took about two months to produce the music, record guitars and everything. Ziyon wrote on his own and recorded himself and sent back files back to me for any input and final mix-down. How have people received the song? Has it met the expectations you had for it? It’s been well received, people love the song at shows and it’s doing very well on radio. It has definitely met the expectation I had for it and it’s just a month since it dropped. What can we expect from DJ Mshega this year ? I’m dropping my sophomore album in the 2nd quarter, and more singles and music videos throughout the year. One final question, what’s your take on the current sub-genres (e.g Amapiano) dominating within the House music space? Have they inspired you to ever transition or even consider a collaboration? It’s generally great to have our very own sub-genres of House music dominating the space, I’m especially happier for the rise of Amapiano as a sub-genre that was started in my hometown “Katlehong”. No I wouldn’t transition, but I’m always up for an interesting collaboration.